We are pleased to inform you that very soon after the release of major update 1.79, the next testing of the Naval Forces will begin officially in closed beta test. In the new testing stage we will start integration of naval play into the general mechanics of the War Thunder. You will be able to access not only the battles, but also research of naval vessels, their modifications and crew training. We plan to launch fleet game sessions on an ongoing basis in events. Become the owner of one of the naval packs which give you access to the tester team. Any fleet eventually needs modernization and ours was no exception to this rule: for the beginning of the long-awaited CBT we present to you, a new class of ship in the Gaijin.Net Store: Destroyers. Destroyers are one of the heaviest and most powerful classes of ships from those represented in our game at the moment. The first nations included in the Naval CBT will be the USA and Germany and we are opening a pre-order of premium destroyers for these two nations! Pre-order bonus - "Sea Sword" title. Pre-order bonus - "Hammerhead" title. Commanders! We are grateful to you that you have supported the development of the fleet in War Thunder by purchasing of packs with boats from different nations. For each boat-pack owner during the pre-order period there will be a 50% discount in the Gaijin.Net store on destroyer packs. Also for pre-ordering you will receive exclusive titles and decals (regardless of whether you had the previous boat-packs or not). Special bonuses will be ended by the CBT start, but existing smaller boat-packs owners will still have an indefinite 25% discount on the purchase of destroyers! Please note: with the fleet CBT start all original boat-packs will be withdrawn from sale in the Gaijin.Net store and PlayStation Store. Until then you can still get a discount for destroyers by purchasing the original boat-packs. 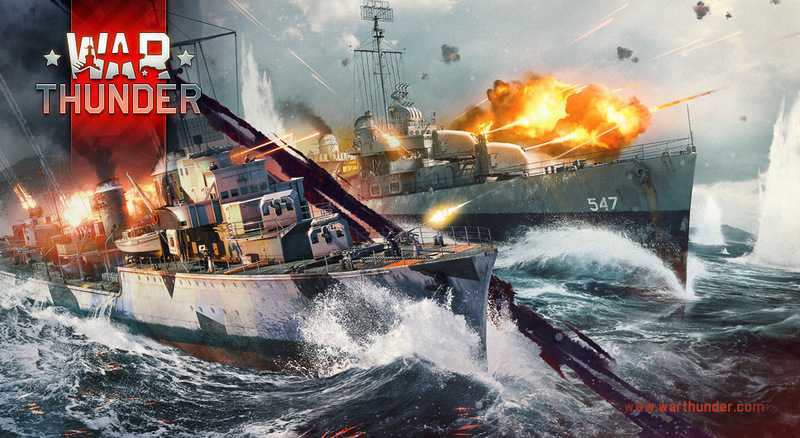 For owners of the boat packs on PlayStation 4, instead of discounts for destroyers there will be a special compensation, details will be announced separately. You're welcome and thank you for supporting navy development! Yer, that was a nice touch for those of us who have supported from the start. No Soldati Class Bundle = missed opportunity. Read again, first 2 trees will be USA and Germany. gromvoiny, Not arguing that. Just that loads of people are looking forward to Italian Ships. Potentially more than are looking forward to Germany or America. It is what it is. Will Gaijilla return from the seas now that naval forces are coming? It's still lurking, but i don't think we'll ever see it again. France isn't even planned yet, first naval trees are USA and Germany. gromvoiny, Sure, but people want France. Oh yes, the famouse french navy. x) "people want France" right now is the less requested nation for the naval battles. "If you got screwed by the changes we made, you can pay us an additional $37"